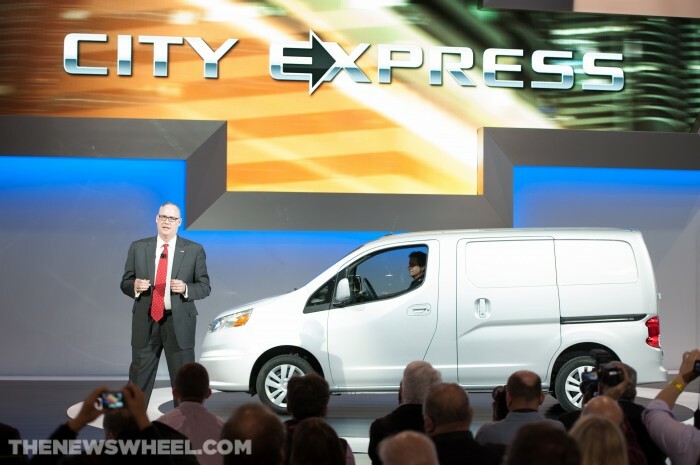 Chevy welcomes the City Express to their lineup as an all-new model. 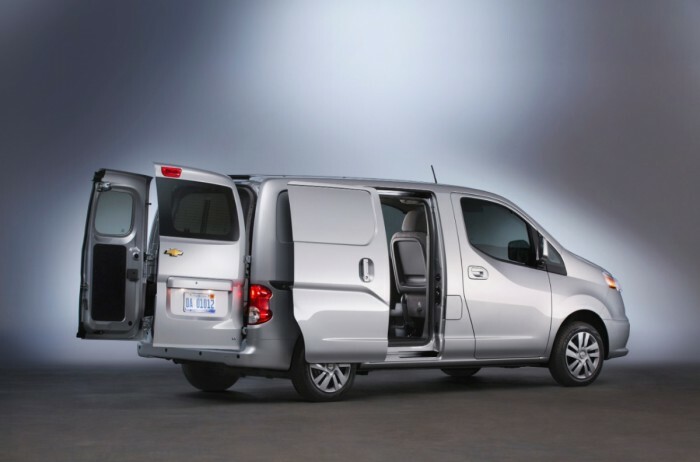 The 2015 Chevy City Express is Chevrolet’s all-new commercial van, offering business a new option in the cargo van segment. The City Express is built on a car platform – having a footprint similar to that of the Chevy Cruze, the new van offers more agility and better fuel efficiency than larger, truck-based vans. If the City Express looks familiar, that’s because it’s based on the Nissan EV200, with only the front and rear ends restyled. The Chevrolet City Express will also get the NV200’s 2.0-liter four-cylinder, which creates its 131 hp through a continuously variable transmission (CVT). While it’s not incredibly powerful for a utility van, it’s enough to get the job done. What the van lacks on power, it makes up for in efficiency, which makes sense. The Nissan EV200 gets an impressive 24 mpg combined, and we’d expect to see something similar from the City Express, though those numbers have not yet been officially released. 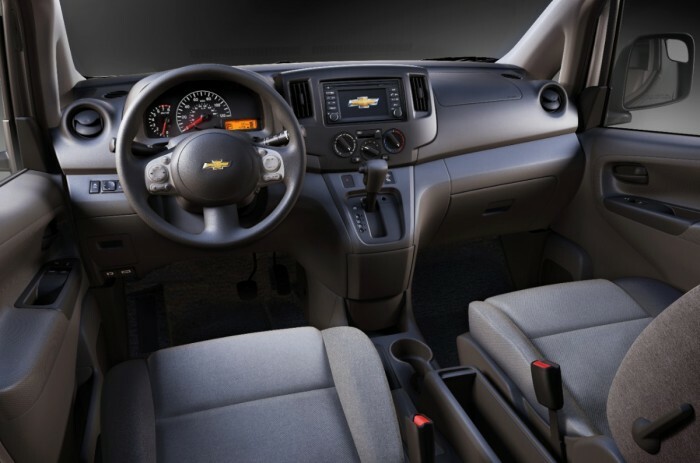 The Chevy City Express blends utility and efficiency with wide side door pockets, a drawer underneath the driver seat, a fold-flat passenger seat, and a long load floor. The new van also features sliding doors on each side, 40/60-split rear cargo doors, a center console with a file folder bin, and the front passenger seatback doubles as a work table when it’s folded flat. The innovative design easily accommodates a standard 48″ pallet and allows for a total cargo volume of 122.7 cubic feet.